We are a product generator startup based in Leipzig, Germany´s new creative hub city, and Hong Kong. Just use physics, not your lungs or pumps to effortlessly inflate air mattresses, pool toys, paddle pools etc. The FLUXBAG is a revolutionary new kind of air pump. Thanks to the Bernoulli effect, you breathe into the FLUXBAG just ONCE – and then push 140 liters of air effortlessly into any inflatable item. The FLUXBAG is a lot faster, smaller and lighter than other air pumps. 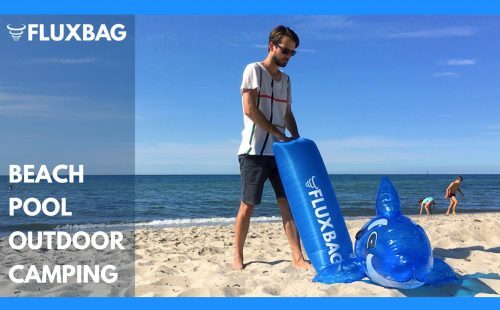 What ́s more, the FLUXBAG also doubles as a dry bag or beach pillow.